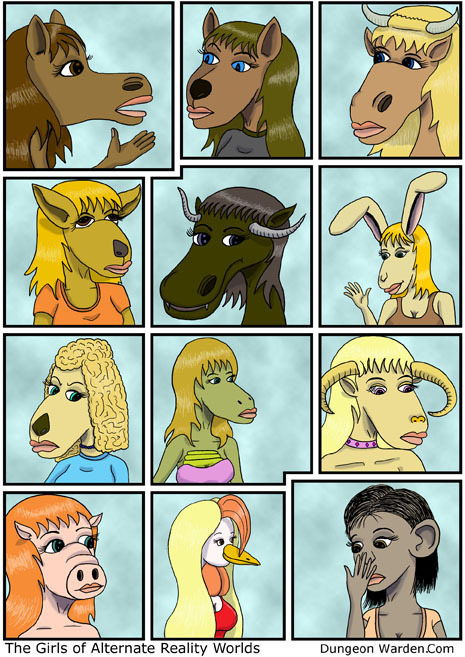 Pictured are some of the gang at Art Animals; a new webcomic that will be starting in January. It involves a group of college students learning about the various art forms and the conflicts in their relationships. Pictured (from left to right): Michelle, Beatrix, Angela, Pearl and Sarah. Several other characters will be introduced as the story evolves.